Home Featured FINALLY! 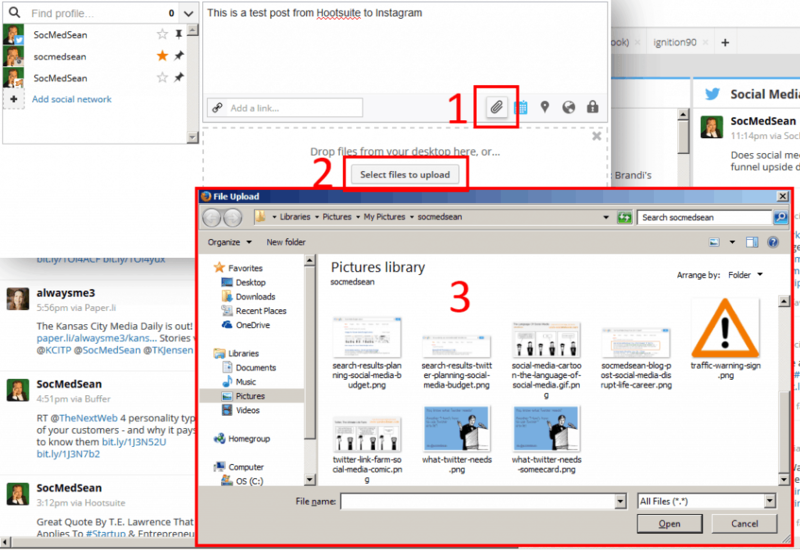 A Viable Solution For Posting Photos To Instagram From Your Desktop! STOP! 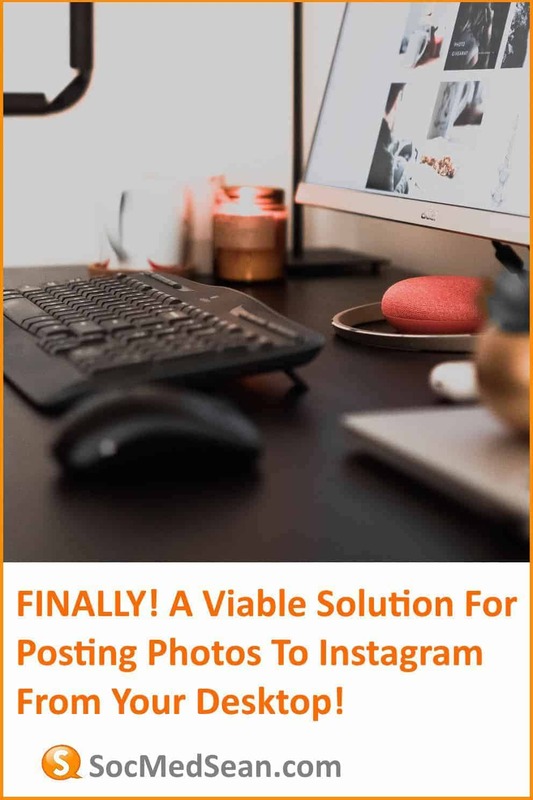 You are welcome to read this post and understand the background on my search for a complete solution to posting images to Instagram from the Web. However, if you just want to cut to the chase and get to a solution that works, read this article instead. Of all the solutions I have tried, it is the best. It amazes me how many people I talk to that are frustrated with the simple problem of posting Instagram photos from your desktop. You know the scenario: you went on vacation, you took a ton of photos with your DSLR camera and now you want to upload them to Instagram. 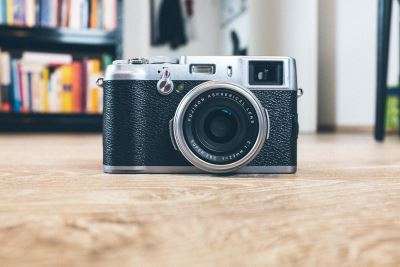 The problem is, Instagram is really designed for use with mobile devices and the only TRUE way to get photos from your DSLR to Instagram is to transfer your photos on to the memory of your iPhone or the SD card of your Android device and upload the from the Instagram app. Trust me, read this article and you’ll see that I have tried apps like Gramblr. I have tried BlueStacks and Botio. They just didn’t work for me. Up until now, my workaround has been to upload my photos to Dropbox from my laptop and then share them from the Dropbox app to Instagram. The problem is it takes forever to upload the photos to Dropbox and I only have so much space on their file sharing service. Finally, however, a solution has presented itself. At long last, we can now actually upload photos from our PCs and Macs directly to Instagram. 1. Create a Hootsuite account. 3. 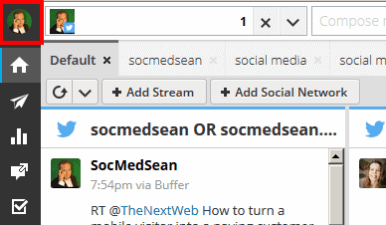 In the upper-left corner of Hootsuite, click on your profile photo. This will bring up a list of your information and show the social networks that you have connected to Hootsuite. 5. Choose to connect Instagram to your Hootsuite account. As part of the setup process, you’ll need to login using your Instagram credentials and accept the permissions to allow Hootsuite to publish to your Instagram account. 6. Read the information CAREFULLY about how Hootsuite to Instagram publishing works. Essentially, you can schedule the Instagram post in Hootsuite and, when it comes time to publish, you will get a notification to complete the publication process in the Instagram app on your mobile device. Yes…you read that correctly. Publishing from Hootsuite to Instagram is a 2-step process. Hey, I didn’t say it was a completely flawless, entirely-smooth way of publishing to Instagram, but it actually does work. 7. Try a test post. Now that you have connected Instagram to Hootsuite, you’ll see the Instagram account in the list of available accounts to the left of the status entry box. 8. To attach a photo from your desktop PC or Mac, just click the paper clip icon to attach a photo and then choose the “Select files to upload” button. From there, you can choose your image to post to Instagram. 9. The final step is simply to wait for the notification to approve the posting to Instagram. Once that is completed and you have approved the post, your photo will be live on Instagram, as well as the caption that you typed as the status update in Hootsuite. So there it is, the next evolution of posting photos from your PC or Mac to Instagram. As you can probably tell from my previous posts, I have been looking for this solution for a long time, so if you have a better way, I’m all ears! Leave a comment below and let me know if you run into any issues with using Hootsuite to post to Instagram. If you have a better solution, let me know and I’ll give it a try. I have been using “Websta for Instagram” from http://www.oinkandstuff.com. I use the Chrome extension. There is a Opera ext. and app in the Google play store. It’s very simple to use and when I check my instagram from my browser it takes less than 30 secs to show up. It is just for uploading to instagram from computer. Thank you! Love it! Perfect! LOVE! This is the MOST perfect solution! I’m totally addicted to Chrome and its extensions. I create my images first in camera, Photoshop and/or Lightroom. I only use my phone for calls. I love my big screen iMac, ya know. I’ve tried so many things. This is so easy peasy! THANK YOU. @[email protected]:disqus. You rock! Got a much better way, for those who use a real camera: Don’t use Instagram. Works like a charm, and will until they get it together. Hi! Nice article, but I have one question. Why not to use online services for uploading pics from PC on insta? I upload and schedule photos thanks to .push.photo . What do you think? Well, that all sounds like a lot of hard work. This is what I do – works with any type of PC or Mac and any type of smart phone. 1. Get the image you want to post to Instagram up on your computer screen (best to turn out the room lights so the image is a bright as possible). 2. Using Instagram on your smart phone simply photograph the image on the computer screen. 3. Then upload to Instagram in the normal way adding captions etc as you would with any other image. Bingo! Instant upload straight from your computer. This also allows you to do any Photoshopping or other image editing before you upload. It helps if you have a high res screen on which to display your image, but, just use the best you have. I guarantee the results. It’s simple, quick, involves no third party software, it’s free and it works! I’ll admit it’s technically crude but ‘awful’, that’s a bit harsh. I just really hate it when people take a photo of their screen, it really butchers the image. I appreciate your point generally speaking but I have a 27-inch (5120 x 2880) iMac. The image quality is soo good I doubt you can see any difference when I repost a ‘screen shot’ in this way. If you have a moment @richwoodsaus you could check for yourself. I have posted a small number of images on Instagram, some of them are ‘screen shots’. I would much prefer to find a software solution as I wish to start using Instagram to promote an existing business. I have a ton of product images I would like to upload complete with reasonably extensive captions so I really need to be able to do this from my computer. My @richwoodsaus Instagram efforts to date are simply practice as I have not used the platform before. I have had a look at Flume and Gramblr but have not actually tried them as yet. This cost money though and who needs monthly bills for social media. Duh! Why didn’t I think of this before? Thank you for sharing. Definitely going to give this a shot. Although cumbersome, this is exactly what I was looking for to avoid transferring amounts of photos to my space-limited phone. Great write up! Thanks! So how is this possible using just a desktop PC? That was the point of it, right? yet it seems we still need to have a mobile device with a mobile app installed, which is what I am trying to avoid. So how to do it from a desktop, no mobile involved at all? Almost too much trouble – I quite like the dropbox solution! Esp as I distribute lots of my images to clients this way anyway.. I came across this looking for something else. All you have to do on a Mac is send your photos to the cloud and you have access to your photos for any device and can then send them to any social media site, including instagram. I do it this way all of the time. Part of the problem here is people thinking that Instagram is the only service that can or should ever be used to post photos online. Instagram is okay for single shots from your phone. Other services are better for things like albums from trips you take. That depends on the purpose. If you just want to upload photos there are many ways to do that, but if you specifically want to upload stuff to IG you have limited options to do so from a PC. This is the best site i used ever before. We can easily upload photos to Instagram account by using deskgram. Does this require that you have phone anyway? I’m used to hootsuite for twitter and facebook so nice that I can use it for instagram too. BUT…. the comments or status which I write to go with the photo do not make it into Instagram. I see them on the hootsuite app but when I hit “share” all that shows up is the picture. I can then add the comments at that point of course, but it’s not so easy – and certainly not efficient. I’m sure I’m missing something – just not sure what! Any ideas? Thanks! I like gramblr better… tried hootsuite and bluestack but couldn’t upload my video. First, I made a private album and uploaded (as a test) a dozen images from my computer. I couldn’t find a way to upload the files to Instagram from my Windows PC, but if I used Facebook on my Samsung tablet and clicked on photo, I got the “Share external” option under the 3-vertical-dots menu that let me upload the photo to Instagram. On my phone, the Facebook menu items were in a different place, but I still had the “Share external” option. This also gave me full editing options when the photo was uploaded to Instagram. Of course, you can only do one photo at a time, but you can upload (drag & drop) a large number of photos to a Facebook album while on your PC, and then use your phone or tablet some time later to get them into Instagram. Just use a Facebook album set on “private” if you don’t want anyone on Facebook to see them. be aware that facebook HEAVILY reduces the quality of the image. Google Drive and Dropbox do NOT. Agreed that dropbox is not the answer. While I use hootsuite for a my queued tweet and occasionally other social posts I have found that the problem with the instagram feature (like dropbox) is that I have to plan for everything. Just like my tweets, I can queue up some of my instagram post but others (tweets and instagram posts) need to happen as a response to what’s going on around the profiles I represent. 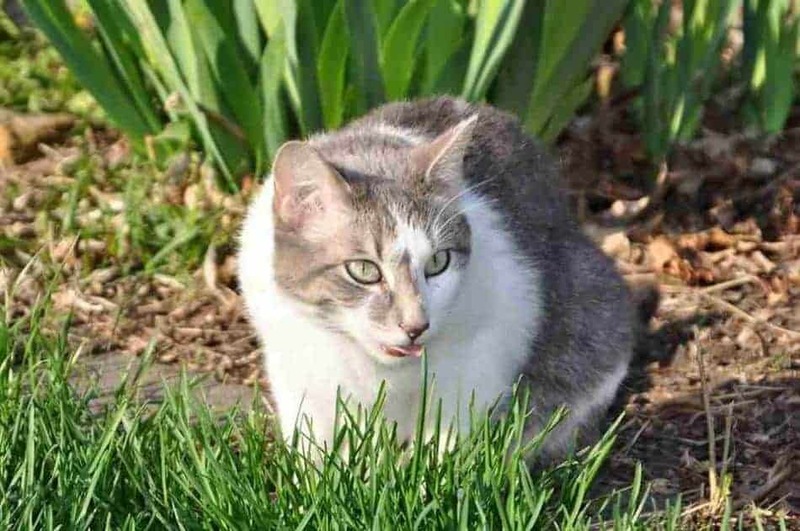 In conjunction with hootsuite I have been using the younity app which allows me to post my photos stored on my computer directly to Instagram. All with the benefit of not having to plan in advance. Here is my conundrum! I want to use Hootsuite to schedule Instagram photos but I want to filter and edit them first, so my boss can just share them without any editing when they are scheduled. So I was trying to figure out a way to do my Instagram photos from Macbook then schedule on Hootsuite. So I know how to edit my photos and save for later (airplane mode), I know how to use Hootsuite for scheduling but I don’t want to keep switching devices. I want to use my Macbook for everything…boo! It looks to me like Hootsuite will cost after 30 days as well, is that right? With this workaround, are you able to crop the photos square? Now that IG allows non-square photos to be posted, it doesn’t really matter, but it would be nice to know if there is that option. Yes. What happens is Hootsuite sends the photo to the Instagram app on your mobile device. Once it is opened in Instagram, you have the ability to crop, add filters, captions and hashtags and then publish to your Instagram account. Ahh, very well. While multiple steps are involved, it does offer a better desktop option! Thanks! Belima – Are you on iOS or Android? On Android, after choosing to view the image in Instagram, the first screen I am taken to is the Crop screen, which let’s me crop the photo. I haven’t tried landscape photos yet, though.